Affleck was spotted with his new girlfriend the same day. Just because Jennifer Garner and Ben Affleck are past their expiration date, it doesn’t mean she’s done with his entire family. The “Alias” actress and Affleck’s onetime Academy Awards date ― his mother, Christine Anne Boldt ― were spotted out together in Brentwood, California, on Tuesday. The pair were all smiles as they tried on each other’s sunglasses and walked arm-in-arm. Seriously, have two people ever looked so happy together? The only thing that could inspire this kind of unbridled laughter is reviewing Affleck’s unfortunate career choices from 2000 to 2004. 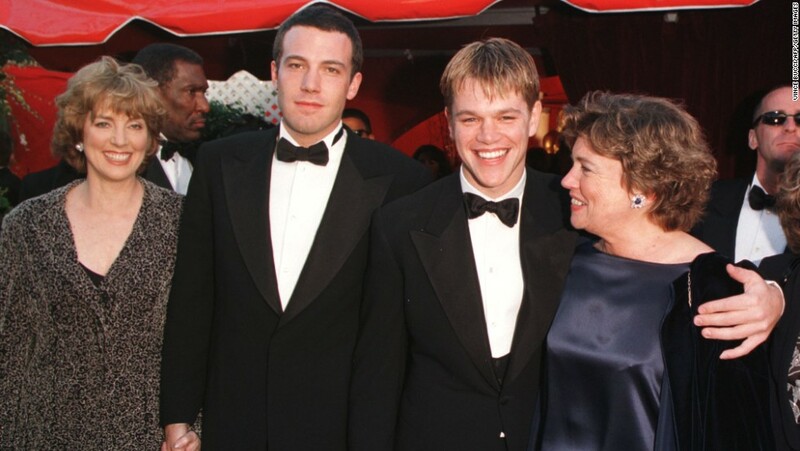 Garner and Boldt have long been close, with Affleck’s mother regularly appearing in paparazzi photos just behind the former couple over the course of their 10-year relationship. Earlier this summer, they were spotted attending church together with Garner and Affleck’s children, Samuel and Violet. Later that day, Affleck and his new girlfriend, “Saturday Night Live” producer Lindsay Shookus, were spotted on yet another date in Los Angeles. They reportedly took in a comedy show at iO West Improv Theater and grabbed some pizza. Before that outing, the new couple vacationed together in Maine over the weekend. Admittedly, that sounds pretty nice, but nothing compares to mother-daughter ― or rather, ex-mother-in-law-daughter ― time.